Dr Susan Hansen is Chair of the Forensic Psychology Research Group, and Convenor of the Visual Methods Group, in the Department of Psychology, Middlesex University. Phil Healey is Head of Visual Arts in the Faculty of Arts and Creative Industries at Middlesex University. Here they give an introduction to their upcoming symposium Art on the Streets: Creative Responses to the Urban Environment. Street art and graffiti are no longer universally regarded as an unsightly criminal blight on our urban landscape. Indeed, communities have recently rallied together to try to protect and preserve existing works at threat of erasure, damage, or removal. This month saw the launch of a popular crowdfunding campaign by the Jewish Museum London to fund a new street art trail in Camden in honour of the late Amy Winehouse. These events mark a sea change in community attitudes towards these forms of formerly stigmatized urban creativity. Our upcoming symposium on Creative Responses to the Urban Environment addresses this transitional moment in our changing urban environment. 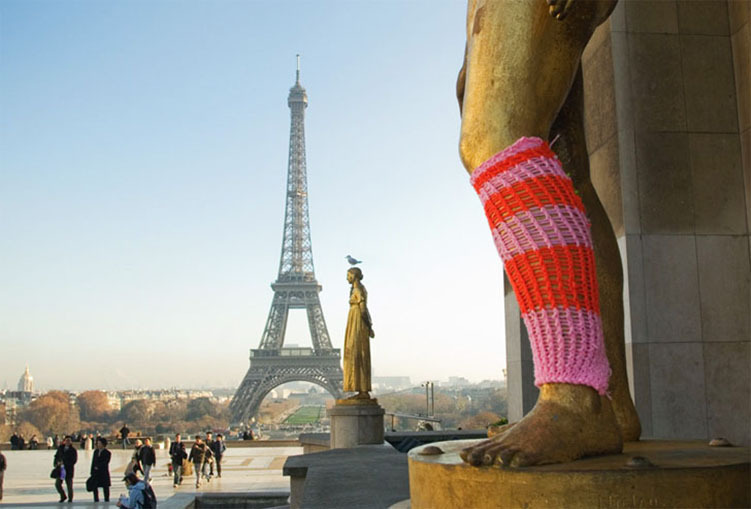 Held at the Institute of Contemporary Art, and open to the public, this interdisciplinary symposium explores the diversity of creative responses to our urban landscape – from street art and graffiti to yarn bombing and urban photography. Participants will discuss our creative connections to, material engagements with, and affective responses to, our urban environment, and the relevance of contemporary urban interventions to a critical understanding of the lived city, with a particular focus on London in a global context. The symposium brings together leading international contemporary researchers, curators, artists and photographers in the field of urban creativity. In recognition of the work of women in this male-dominated field, North American contemporary urban artist Magda Sayeg will question the preconceived notions that viewers have about the role of street art and who does it – revealing the gender polarities at work. Sayeg engages in the reappropriation of what is traditionally considered craft decorative and feminine traditions, placing them in the ‘masculine’ sphere of urban art. 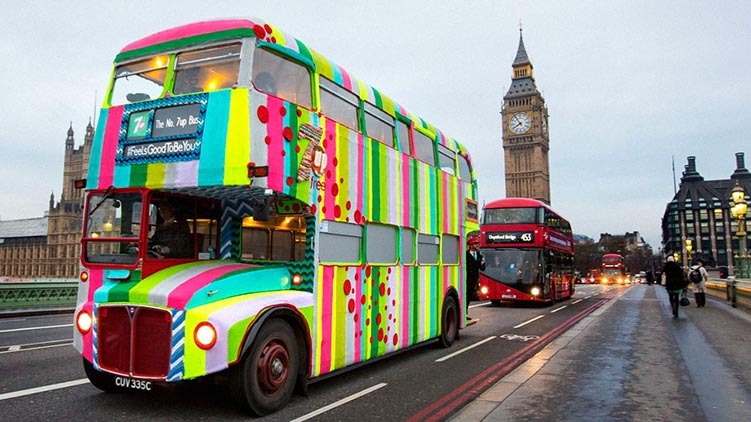 In a recent mobile London-based installation, Sayeg covered a double decker bus with knitted material. London-based curator Olly Walker will ask the provocative question of whether London is losing its long established place as the global center of street art. Once seen as the most vibrant and art rich city in the world, Walker argues that London has been left behind and now is struggling to find investment, organization and invention to gain walls and space to paint, thus struggling to attract the best artists and interact with local communities. Street art is increasingly to be found not just on the streets but as ‘urban art’ within a gallery context. German Art Historian Ulrich Blanché will question what happens when Street Artists become Urban Artists when they exhibit in a gallery rather than on the street. He also explores the different kinds of viewers of Street Art versus urban “gallery art.” Blanché presents a detailed analysis of the artistic strategies used by artists who work between the street and the gallery. 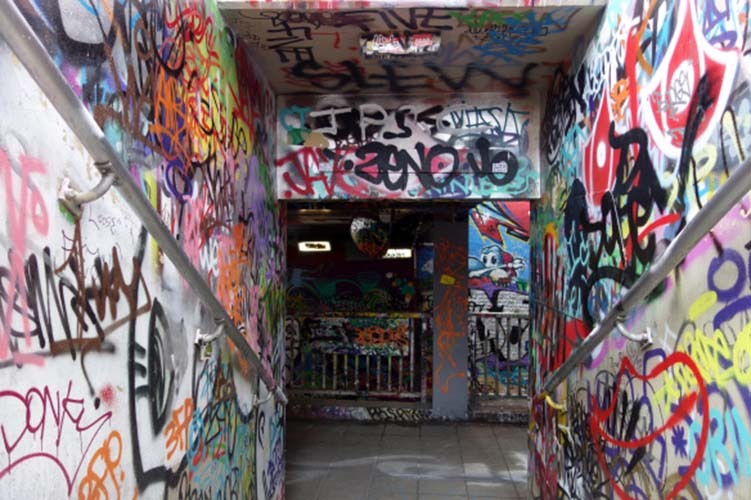 London-based scholar Sabina Andron will present a novel argument – that graffiti may become a force of urban regeneration, rather than degeneration. Using repeated photographic documentation of the Leake Street Tunnel area, Sabina illustrates the surprisingly sociable impact of graffiti writing. Susan Hansen will examine the transformation of public space that occurred after Banksy’s Slave Labour was cut from a wall in North London, transported to Miami and listed for auction. This act provided the conditions of possibility for the emergence of a visual dialogue, which transformed this otherwise apparently unremarkable London side street into an arena for aesthetic protest and critical social commentary. Visiting Australian scholar Panizza Allmark will talk about her urban photographic work, which focuses on the walkways within shopping malls. These spaces could be described as the new High Street, but undercover and intensified. Panizza’s compelling photography conveys the spectacle in shopping malls which follows the Surrealist tradition of ‘making familiar the strange and the strange familiar’. 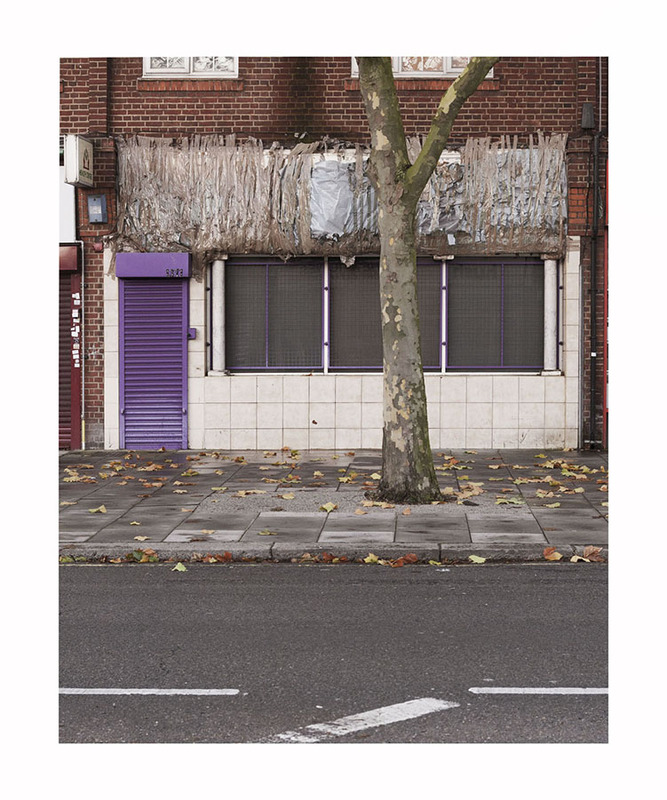 London-based urban photographer and academic Paul Halliday will question how theories of urban change influence the ways in which an artist approaches the subject of locale. His work problematizes ideas of documentary truth, drawing on a critique of objectivity, subjectivity and the autobiographical. Through this project, Paul questions notions of memory, eventfulness and the archive. This timely symposium will explore London’s role as a global city in the context of street art and graffiti, and whether the capital is still a leader, or has become a follower, in the development of innovations and new forms of expression. We anticipate a lively discussion of the impact of both licit and illicit forms of contemporary urban art on our culture, society and freedom of expression. Art on the Streets: Creative Responses to the Urban Environment is on Monday October 10 at the Institute of Contemporary Art, 1pm-5.30pm. For more information, contact Susan Hansen (Department of Psychology) or Phil Healey (Department of Visual Arts).